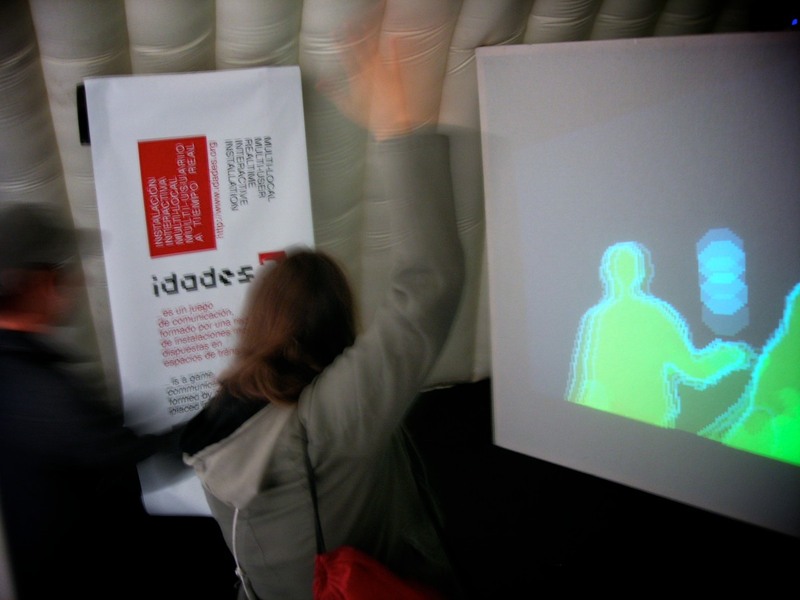 „Idades“ is a communication game consisting of a network of modular systems that are placed in transit spaces such as waiting halls, passages and stations. 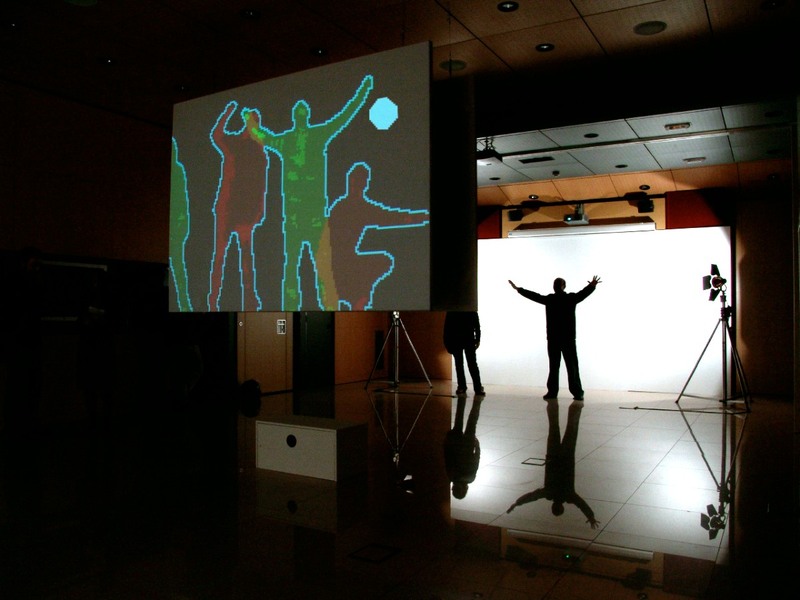 In each of them, a spectator can recognize his or her simulated silhouette, projected onto a screen, placed in the middle of the transit space. 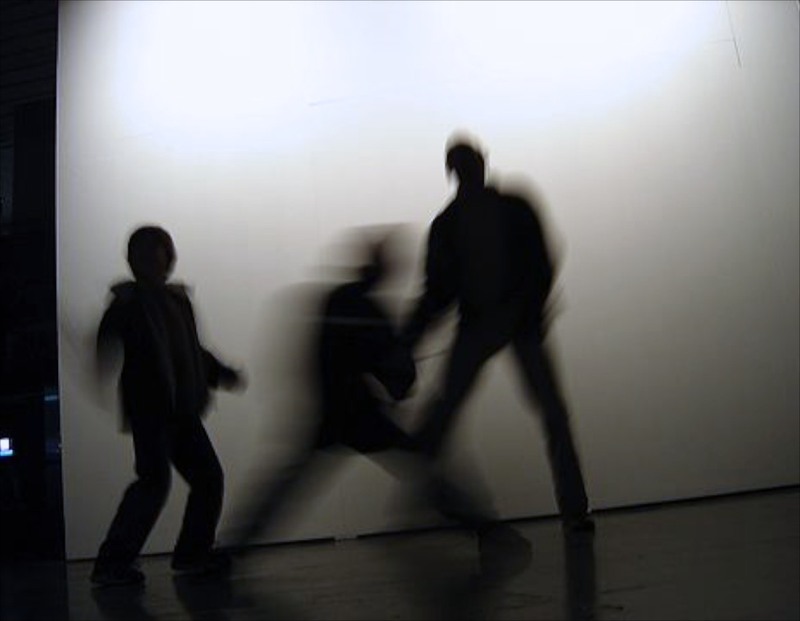 This activates a game in which the participant is the body of the player, along with the rest of the spectators that enter the visual field of the camera that is displayed on the screen. All the processes are controlled by the software Max/MSP and Jitter. To make this work an application was developed, which processes the video, the sound and the algorithms which create the ball. The signal is then passed to the projectors and all the other components of the installation. Everything is performed in real-time.